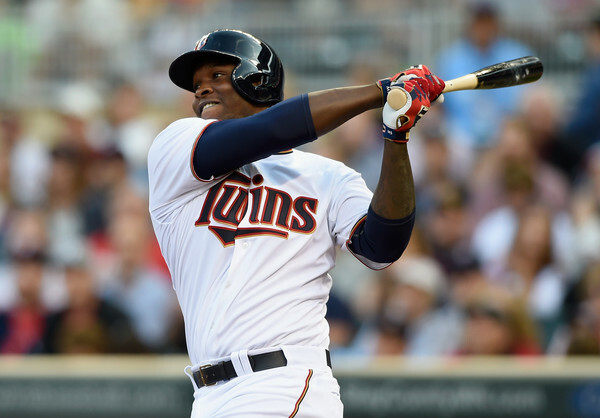 Young Miguel Sano seems like a fun kid. He (along with Byron Buxton) are going to make the Twins a lot of fun to watch over the next decade or so. We’ve kind of had Sano on our radar since watching the documentary Pelotero. Tonight, Sano wrote a new chapter in the book. Look at this arching parabola home run he gets into in the Twin Cities in front of the home crowd. Kevin Gausman got knocked around the yard as per usual and the Twins won the game 8-3. Any time a highly heralded prospect like Sano does something like this, we have to document it. This could be the first of three or four hundred round-trippers. Sano will force us to use the Twins tag a lot more often. The Twinkies are 45-39 right now, one of the better stories in baseball as we near the All Star Break.